You can make these easy bars anytime. All you need are a few ingredients and you are on your way to making a delicious, fudge topped bar. Fudge bars are great to bring to any function because they’re fast, easy and economical to prepare. The top transforms into a fudge layer that’s absolutely delicious. The fudge layer is made with sweetened condensed milk and chocolate chips, so let’s face it, it has to be good. This recipe is another fantastic Taste of Home recipe. I found this recipe several years ago in one of my many Taste of Home cookbooks. The name of the recipe book was called, Fast Fixins’ with Mixes. (I don’t think I’ve ever made a bad recipe from any Taste of Home cookbook.) So when I needed a quick recipe to make for a party last weekend, I reached for this one. It was a huge hit! The cast of characters in this recipe is short and sweet. 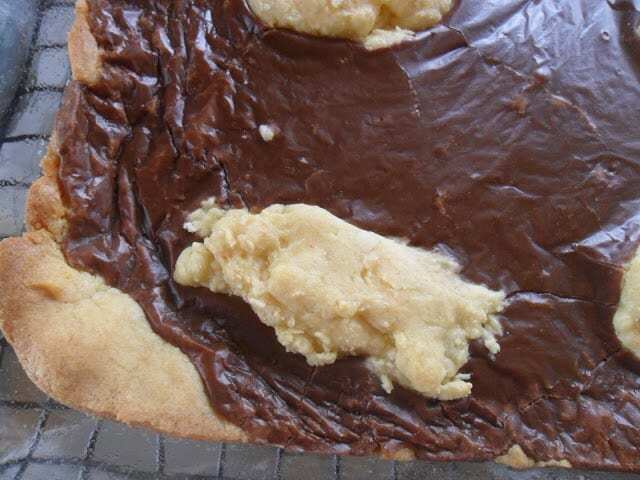 One yellow cake mix, eggs, oil, one can sweetened condensed milk, milk chocolate chips, peanut butter and butter. I’m not sure about you but I keep this ingredients on hand at all times. When cake mixes are on sale in my area for $1.00, I stock up for recipes just like this. Same goes for sweetened condensed milk and chocolate chips. Even though I have trouble keeping chocolate chips in my house. I like to sneak a handful here and there. Fast, easy and super fudge delicious! 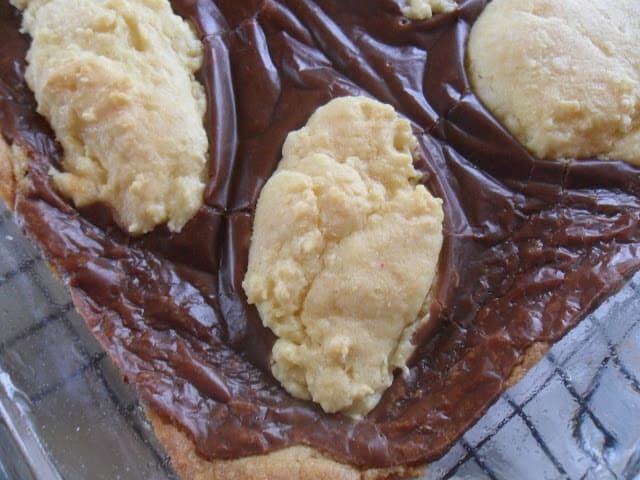 In a bowl, combine cake mix, eggs and oil. With floured hands, press two-thirds of the mixture into a greased 13 x 9 baking pan. Set remaining cake mixture aside. 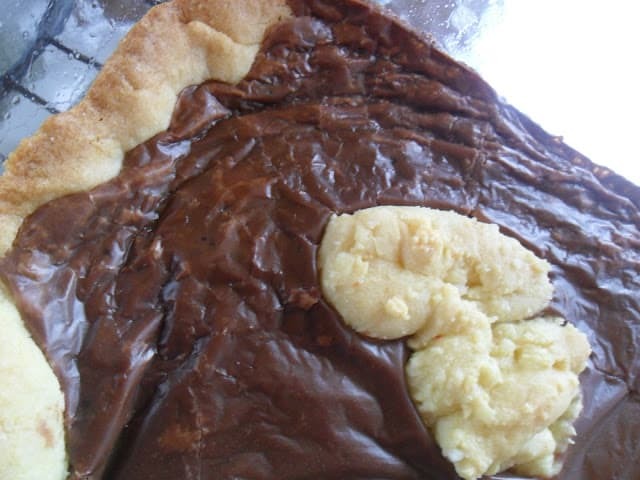 In a microwave-safe bowl, combine the sweetened condensed milk, chocolate chips, peanut butter and butter. Microwave, uncovered on high for 45 seconds, stir. Microwave 45 to 60 seconds longer or until melted. Stir until smooth, pour over crust. Drop teaspoonfuls of remaining cake mixture over top. Bake at 350º for 20 to 25 minutes or until lightly browned. Thank you for sharing at All my Bloggy Friends. Wishing you a Happy New Year!